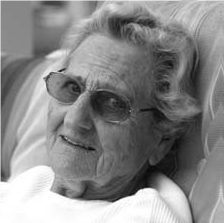 Evelyn Blake Bradich Adams, 97, of East Lake Weir, Florida, passed away of old age at her home on March 22, 2019. She was born to the late Furnia and Ernest Blake, June 6, 1921 in Williamstown, MA. She is survived by two children, Patricia Frost and John Bradich, of Florida; from her first marriage to the late John Peter Bradich; and two step daughters, Cassandra Adams of California and Kimberly Morrissey of Pennsylvania by second husband the late David Adams. She is also survived by five grandchildren and seven great-grandchildren. Evelyn and David lived together in Morristown, Tennessee for 30 years and together founded Adams Wood Products. An accomplished Cost Accountant she also excelled as an artist, photographer, and golfer. She believed and practiced her favorite saying “you can never out give God” and dedicated her life to helping others succeed. Evelyn served in the Women’s Army Corps during WWII as a mapping photographer and witnessed incredible changes to her world. Among them: 17 presidents, Pearl Harbor and 9/11, Charles Lindbergh and Amelia Earhart to Space travel, two states were admitted to the union, The Great Depression, wood stoves to microwaves, and radio to television. At 97, Evelyn was actively using her iPad for conducting financial business, ordering goods, communicating on Facebook, and playing games. The celebration of life will be 1:00 PM, Saturday, March 30, 2019 at Mayes Mortuary, and graveside services will follow in Jarnagin Cemetery. In lieu of flowers, memorial contributions may be made to St Jude Children’s Hospital.